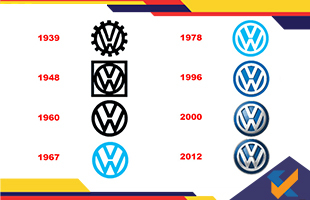 It is time for a change for the Volkswagen logo!! The company will deviate from the 'V' and 'W' placement which has been the same since the inception of the car back in 1930s. The new logo is expected to come out in 2019 and will be more modern as compared to the previously used logos. The change comes as a result of the realisation by the manufacturer’s management that the appearance of the current one is “too German” and thus does not relatable to most at an emotional level. The logo has been an integral part of the brand and a change from the popular VW logo to something different might be a gamble which could go either way. The design of the logo has however still not been finalised and in fact the car maker is open to suggestions from advertising firms and would carry out a short listing process to make the final decision.